Cooler Cushion - Set of 2, 17.5x20? CLOSEOUTS. 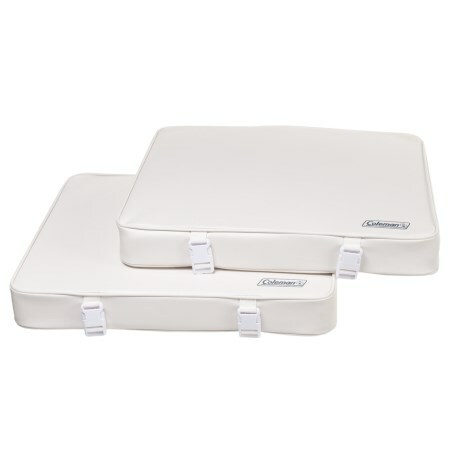 This set of two Coleman Cooler Cushions is designed for use with a 150-quart marine cooler with a split lid, and includes adjustable straps and buckle attachments to fit any comparable sized cooler. Available Colors: WHITE.